Shri. 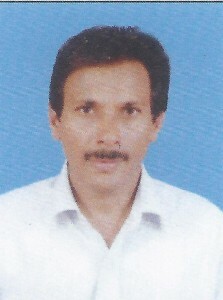 G. S. Hegde, M.A. · Attended orientation course in University of Mysore from 7th July 2004 to 3rd Aug. 2004. · Participation in Yakshagana Tala Maddhale. · Attended NAAC sponsored state level seminar on 18th and 19th March 2006 in S. D. M. College, Honavar on the topic ‘Quality Assurance Mechanism Collegiate Education. · Participated in UGC sponsored National Seminar on ‘ Emerging Trends in Tourism in the changing scenario’ organized by BGVS Arts & Commerce college, Sadashivagad, Karwar from 16th to 17th March 2007. · Attended Special Winter School Program at K. U. Dharwad from 2nd January 2009 to 22nd January 2009. · Participated National level Seminar on ‘ National Movement in Uttar Kannada District’ conducted by G.C College, Ankola on Aug. 28th & 29th 2009. · Attended a Refresher course in Bangalore University from 26th Oct. 2009 to 16th Nov. 2009. · Cleared SLET in the year 2001. · Registered for Ph.D. and work is under progress. · Participated in onedasy seminar on “ Challenges for teaching in Evolving Democracy” organized by Karnataka University college teachers association Hubli on 23rd December 2006.